Mobile development. Mobile strategy. We can do it all. Michigan-based HTMA is an innovative FinTech company, serving banks across the country. Financial institutions, ranging from $30 million in assets to over $18 billion in assets, use its platform to easily and cost-effectively roll out new services for attracting and retaining customers. The platform powers a suite of HTMA offerings including Banker Jr., Member Jr., and now Plinqit. Entrepreneur, strategist, customer service expert, leader. Kathleen Craig, Founder and CEO of HT Mobile Apps, has over a decade of customer service experience. 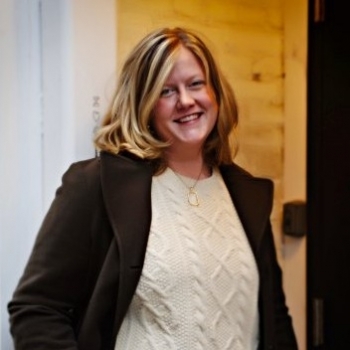 She began her career in the restaurant industry, working in leadership for Zingerman’s Community of Businesses, a local food institution that was named Inc. Magazine’s Coolest Small Company in America. During her time at Zingerman’s, she traveled through the Midwest consulting on topics including customer service, supervising, visioning, and organizational change. Kathleen then served as the Vice President of eServices at a Michigan based community bank, bringing her leadership, training and customer service talents to the $900 million dollar institution. Her entrepreneurial spirit drove countless organizational changes including a comprehensive customer feedback program, technology project implementations, social media strategy and local charitable events. Her experience at the bank led her to national speaking engagements on Mobile Banking technology. Receiving accolades at each company she has worked, she was notably Chairman’s Club Recipient for internal service at United Bank & Trust and won several service awards during her time at Zingerman’s in Ann Arbor. Kathleen’s passion for technology, children and financial education finally led her to the development of HT Mobile Apps and their first product, Banker Jr, launched in January 2013.